A full, long day of sightseeing, but oh was it worth it. 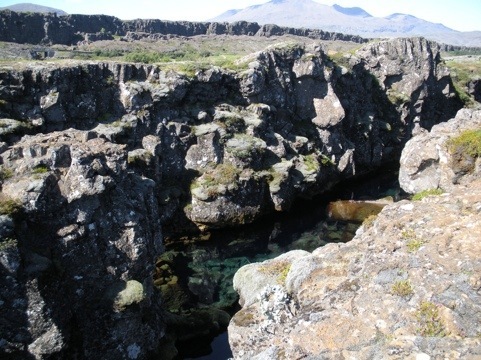 I have the energy to provide a link about the Golden Circle, but not to go into great detail. So here’s the link. We took an excursion in a 12 person van, as we much prefer smaller groups to cramming 50 people on a bus. We got picked up at our hotel and started our of Reykjavik to begin the tour. We have lucked into glorious weather, bright sunshine makes everything more fun. 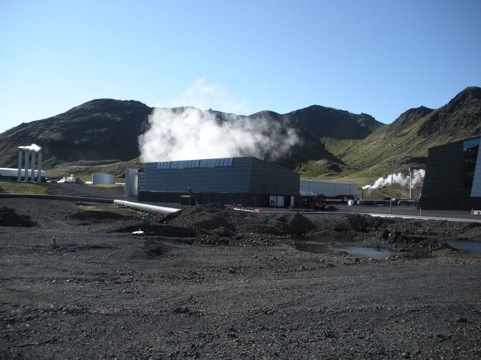 The first stop was at a geothermal power plant, one of 5 in Iceland, that provides all of their energy needs and will soon provide some power to Scotland. 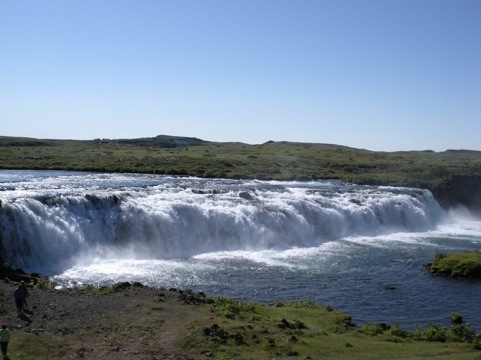 Iceland has the perfect combination of volcanic activity, water and a small population to make them almost independent of fossil fuels. It’s a great position to be in these days. Next was a sunken volcano dome. 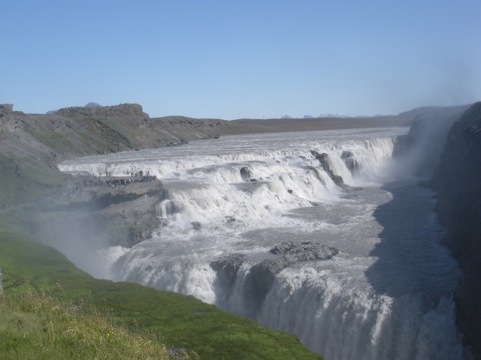 We then visited two waterfalls, one small and then the Gullfoss falls, a huge horseshoe falls. You can walk very close to them, the power of the water is amazing. 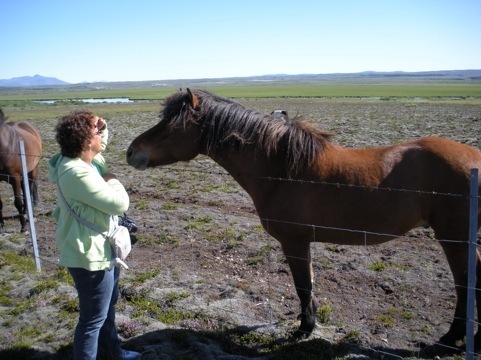 We stopped along the road and got to visit with some Icelandic horses. Because of s horse blight in Europe 1000 years ago, no horses have come into Iceland since 930, making the horses of exceptional genetic stock. 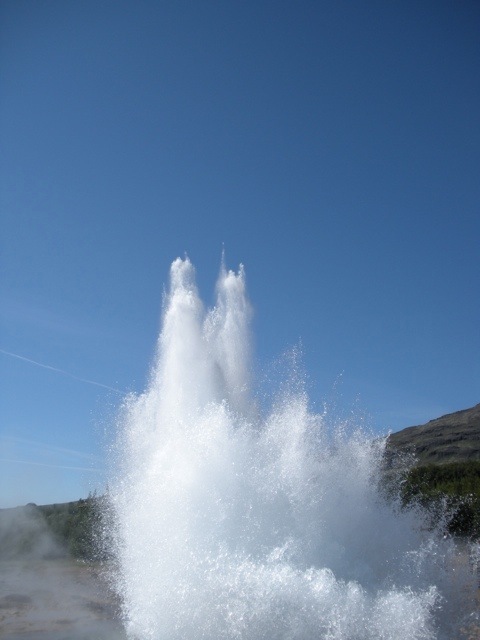 We then visited the original Geyser,where the name comes from. While no longer active, the Strokker geyser next to it goes off every 4.5 minutes. 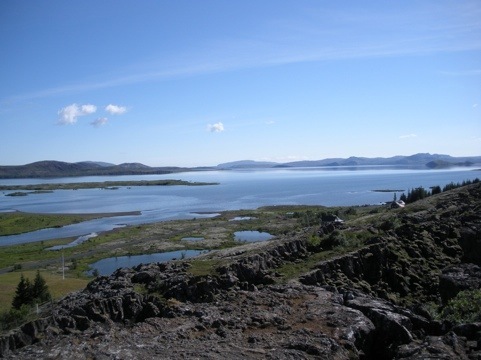 Our last stop was at the Thingvellir, where the continental plates of North America and Eurasia meet. That’s pretty cool when you think about it. We did a little shopping when we got back to town. We treated ourselves to a fancy dinner at Sjavarkjallarinn. It somewhat resembled Volt in Frederick for those familiar with it. Tomorrow we do the Blue Lagoon on the way to the airport. Thanks to all who have read and commented here, or on Twitter or Facebook. It’s been fun blogging this trip.